I didn’t wear any green today but I do feel lucky. We spent the day sanding, painting, and sanding and painting. The faux fireplace is real and really done (except for the final insert but who’s counting?). I feel lucky to have a husband who takes my inspirations and helps turn them into real things for me to enjoy. Five returned items and one new circ saw later, we have a beautiful faux fireplace complete with 45-degree angles. But I have something else in my heart. Trust. 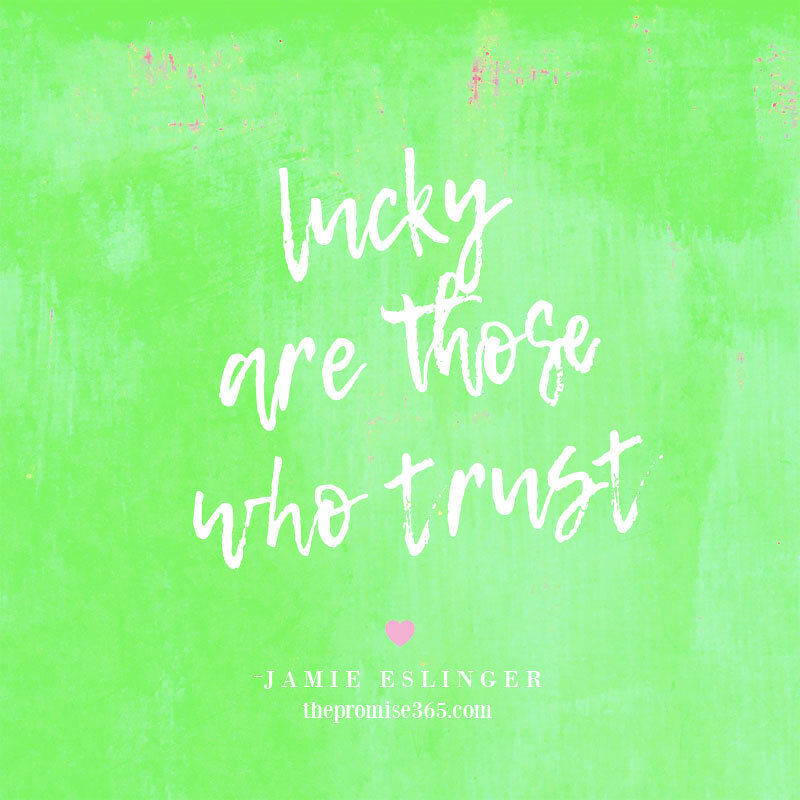 On this St. Patrick’s Day, I am thinking about those who are lucky to live in trust. With their loved ones, their families and friends, their communities, and a hubby who will go to the ends of the world to build their dreams… or at least to Lowe’s seventeen times. As this year moves on, it is becoming clear to me that we need to build more trust. Between the headlines of mass shootings and college entrance bribings and children marching, to mention a few, I have to wonder if more Trust could help solve it all. I would like to live in that world, a world where trust was the simple answer. As I sit here, at the end of the luckiest day of the year, I wish we could all be so lucky.